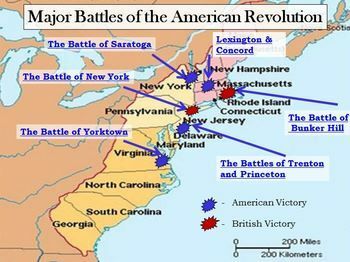 The American Revolutionary War (1775–1783) or the American War of Independence was the revolt against Great Britain by the thirteen American colonies which founded the United States of America. The war had its origins in the resistance of many Americans to taxes imposed by the British Parliament, which they considered illegal. The Boston Tea Party was a political protest in Boston, on December 16, 1773. 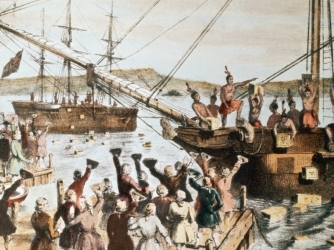 The rebels disguised as American Indians destroyed an entire shipment of tea sent in defiance of the Tea Act of 1773. They boarded the ships and threw the tea into Boston Harbor, ruining it. The British government responded violently. Formal acts of rebellion against British authority began in 1774 when the Patriots overthrew the royal government of Massachusetts and decided a boycott of imported goods from Britain. The tensions caused lead to the fighting between Patriot militia and British army at Lexington and Concord in April 1775. By spring 1776 the Patriots had full control in all thirteen colonies and on July 4, 1776, the Congress declared their independence. The British meanwhile created a large army to put down the revolt. They defeated the American army, commanded by George Washington, capturing New York City in 1776 and later Philadelphia in 1777. However, Washington’s forces were not completely defeated. Poor coordination between the British army resulted in the capture of British army following the Battles of Saratoga. France, Spain and the Dutch Republic were secretly providing supplies and weapons to the revolutionaries since 1776. France entered the war to prevent the Americans from accepting a peace. They were followed by Spain in 1779. The participation of France and Spain was decisive as they diverted British resources away from North America. After 1778 the British concentrated their efforts on the southern colonies, recapturing Georgia and South Carolina in 1779 and 1780. In 1781 British forces attempted to control Virginia, but a French naval victory just outside Chesapeake Bay led to a Franco-American siege at Yorktown and the capture of over 7,000 British soldiers. The defeat broke Britain’s will to continue the war. Limited fighting continued throughout 1782, while peace negotiations began. 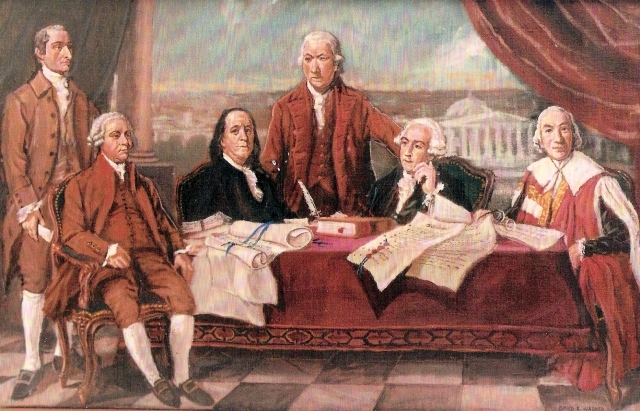 In 1783, the Treaty of Paris ended the war and recognized the independence of the United States over the territory bounded roughly by what is now Canada to the north, Florida to the south, and the Mississippi River to the west. A wider international peace was agreed, in which several territories were exchanged. The expensive war drove France into massive debt, which would contribute to the outbreak of the French Revolution.